As an ordained minister, wedding officiant and founder of Wedding Day Makers, Amanda Wright has been performing in the state of Virginia since 2010. All services are non-denominational; ceremonies and vows are fully customizable. Amanda is not affiliated with a specific religious group or local church. She is licensed through the Commonwealth of Virginia. Amanda lives in Richmond, VA but is available to travel as a wedding officiant throughout Virginia and the US. Taking the step to spend the rest of your life with someone is commendable. Doing it with the skills and tools to co-create a great marriage is a better recipe for a successful life together. A certified life coach and relationship coach, Amanda has the training to help you grow and maintain a healthy relationship in areas ranging from intimacy coaching to financial abundance coaching. Wedding Day Makers is also a strong supporter and advocate of marriage equality. We’re committed to creating a celebratory experience that reflects the diversity of our clients. We welcome everyone and prohibit all discrimination on the basis of race, ethnicity, age, religion, physical ability, sexual orientation, gender identity and gender. 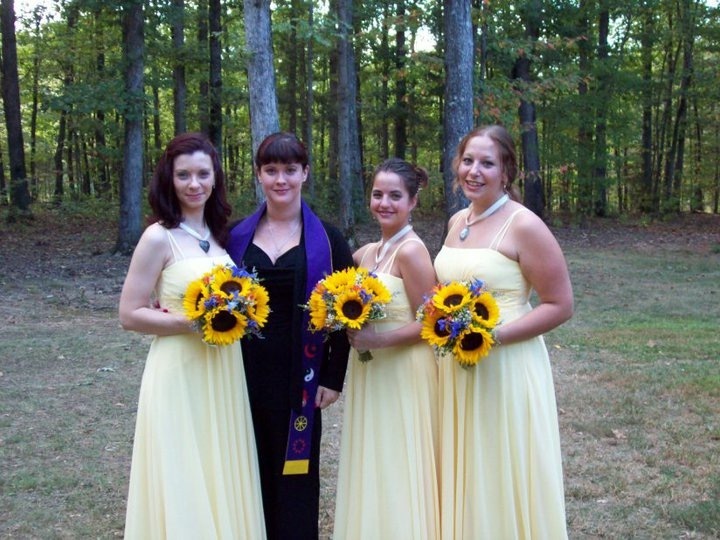 An ordained minister & wedding officiant, Amanda has been performing in the state of Virginia since 2010. Our wedding day specialists are the first to arrive and the last to leave. We ensure that nothing has been forgotten and handle any “surprises” that may pop up. The bride and groom will arrive with nothing left to do but enjoy every minute of their special day. For information about the full suite of Wedding Day Makers services – contact us to schedule a call. Website coming soon. Other relationship services available from Amanda Wright include : Intimacy Coaching & Sexual Health Therapy, Alternative Lifestyle Coaching and Couples Counseling & Marriage Counseling.